One thing we noticed during the Fragile Families Challenge is that some participants struggled to work with the data and metadata. So, after the Challenge ended, we used what we learned to rebuild the Fragile Families and Child Wellbeing Study data and metadata, making it easier to use. This process is described in more detail in our paper: “Improving metadata infrastructure for complex surveys: Insights from the Fragile Families Challenge.” Now we are happy to announce the release of an R package (ffmetadata) and a Python package (ffmetadata-py) that make it easier to work with the Fragile Families metadata without leaving your data analysis environment. We will be giving a talk about the Fragile Families Challenge on Thursday, November 8, 2018 in the Population Studies and Training Center (PTSC) Seminar Series at Brown University. The talk will be in Mencoff Hall, Seminar Room 205 at noon. The talk is open to everyone. We will be giving a talk about the Fragile Families Challenge on Monday, October 22, 2018 at 4:00 pm in the Program in Applied and Computational Mathematics (PACM) Colloquium at Princeton University. The talk will be in Fine Hall, Room 214. This talk is open to everyone. We will be presented three papers about the Fragile Families Challenge at the 2018 American Sociological Association Annual Meeting, which will be in Philadelphia August 11–14. Please come to these sessions to learn more about the Challenge. Metadata provides critical support for researchers working with public datasets, but new methods at times outgrow what existing data infrastructure is able to support. This paper describes what happened when a large, heterogeneous group of researchers used a complex social data set in a way that was not originally envisioned by its creators. Using the Fragile Families Challenge as a case study, we identify five strategic areas where improving metadata — variable names, response codes, cross-questionnaire matching, concept tags, and release format — can make data use easier for everyone. More generally, we illustrate some of the unintentional and invisible barriers that are preventing the use of machine learning methods in the social sciences, and suggest that data system design is a fundamental research problem for the field of computational social science. Scholars have long hypothesized that childhood experiences play an important role in the process by which socioeconomic status is reproduced across generations. The predictive power of attainment models, however, has been so weak that pioneers of the field have commented that random chance must play an important role. We hypothesize another possible source of poor predictive performance: untapped modeling potential. Modern machine learning approaches often yield better predictions than parametric regression models, yet social scientists have not fully exploited this opportunity. In this paper, we report on how 159 research teams from 68 institutions in 7 countries used rich survey data covering 2,121 training observations on 12,942 variables to produce predictive models that together set a benchmark of predictive performance for outcomes identified by social scientists as important factors in the status attainment process. We narrow our focus to a critical point of the life course: predicting adolescent outcomes as a function of childhood experiences. Each team developed a predictive model that was evaluated on a set of outcome observations available only to the organizers. Results suggest that (a) predictive performance outpaced approaches more common in social science, but (b) overall predictive performance was poor. We close with a discussion of the potential reasons for poor predictive performance in social science research. Given the theoretical importance of childhood experiences in the process of stratification, our results should be of interest to scholars of stratification, socio-economic mobility, child development, and statistical methods. New sources of “big data” created by companies and governments hold great promise for advancing social science. Unfortunately, a fundamental barrier preventing researchers from achieving this promise is data access. Quite simply, most big data sources are not accessible to researchers. Therefore, developing procedures that enable safe and ethical data access represent an important methodological problem in computational social science. In this paper, we present our process for enabling data access during the Fragile Families Challenge, a scientific mass collaboration designed to improve the lives of disadvantaged children in the United States. We describe our process of threat modeling, threat mitigation, and third-party oversight. We also describe the ethical principles that formed the basis of our process. Ultimately, we hope that the approach that we developed will be helpful to researchers who seek data access and data custodians who wish to provide data access. AI4ALL is a non-profit educational program designed to increase the diversity of researchers working in AI. This summer there is an AI4ALL program at Princeton, and one of the projects participants will work on in a modified version of the Fragile Families Challenge. We look forward to seeing what new insights these students bring to the Challenge. If you would like to use a modified version of the Fragile Families Challenge in your teaching or research, please contact us. We are excited to have a chance to discuss the Fragile Families Challenge as part of a panel at the University of Michigan, Institute for Social Research. The title of the panel is: The Future of Big Data and Survey Methods. Please join us at the event. More information is below. New Data Science methods and mass collaborations pose both exciting opportunities and important challenges for social science research. This panel will explore the relationship between these new approaches and traditional survey methodology. Can they coexist, or even enrich one another? Matthew Salganik is one of the lead organizers of the Fragile Families Challenge, which uses data science approaches such as predictive modeling, mass collaboration, and ensemble techniques. Jeremy Freese is co-PI of the General Social Survey and of a project on collaborative research in the social sciences. Colter Mitchell has conducted innovative work combining biological data and methods with Fragile Families and other survey data sets. Sponsored by the Computational Social Science Rackham Interdisciplinary Workshop and the Population Studies Center’s Freedman Fund. When newspapers have to correct a published article, they issue a correction that notes the errors in the prior version and how they have been corrected. Following this logic, this blog post explains a correction we have made to the prize winners blog. At the close of the Challenge, one team (MDRC) mistakenly believed that the submission deadline, listed as 6pm UTC on Codalab, was 6pm Eastern Time. After the close of the Challenge at 2pm, they were unable to upload their submission. They emailed us very soon after the 2pm deadline indicating that they had misunderstood. Our Board of Advisors reviewed the case carefully and decided to accept this submission. We made this decision before we opened the holdout data. When we actually evaluated the submissions with the holdout data, we downloaded all final submissions from Codalab and neglected to add the e-mailed MDRC submission to the set. The team noticed they were not on the final scores page and emailed us to ask. A week after opening the holdout set, we added their submission to the set, re-evaluated all scores, and discovered that this team had achieved the best score in eviction and job training, two prizes we had already awarded to other teams. In consultation with our Board of Advisors, we decided to do three things. First, we updated the final prize winners to recognize MDRC. Second, we recognized that this was an unusual situation. Other teams had rushed to the 2pm deadline and might have scored better with a few extra hours of work. For this reason, we decided to create a new category: special honorary prizes. If MDRC won for an outcome, the second-place team (i.e. the team that was in first place at the close of the Challenge at 2pm) would be awarded a special honorary prize. Third, we updated the prize winners figure and score ranks to include MDRC along with all submissions previously included. All prize winners (final, progress, innovation, foundational, and special honorary) are invited to an all-expense-paid trip to Princeton University to present their findings at the scientific workshop. The Fragile Families Challenge received over 3,000 submissions from more 150 teams between the pilot launch on March 3, 2017, and the close on August 1, 2017. Each team’s final submission score on the holdout set is provided at this link. In this blog post, we are excited to announce the prize winners! Greg Gunderson (ggunderson) produced machine-readable metadata that turned out to be very helpful for many participants. You can read more about the machine-readable metadata in our blog post on the topic. In addition to being useful to participants, this contribution was also inspirational for the Fragile Families team. They saw what Greg did and wanted to build on it. A team of about 8 people is now working to standardize aspects of the dataset and make more metadata available. Because Greg provided a useful tool for other participants, open-sourced all aspects of the tool, and inspired important changes that will make the larger Fragile Families project better, we are awarding him the foundational award. The Board of Advisers of the Fragile Families Challenge would also like to recognize several teams for particularly innovative contributions to the Challenge. For these prizes, we only considered teams that were not already recognized for one of the awards above. Originally, we planned to offer two prizes: “most novel approach using ideas from social science” and “most novel approach using ideas from data science.” Unfortunately, this proved very hard to judge because many of the best submissions combined data science and social science. Therefore, after much deliberation and debate, we have decided to award two prizes to for innovation. These submissions each involved teams of people working collaboratively. Each team thought carefully about the raw data and cleaned variables manually to provide useful inputs to the algorithm, much as a social scientist typically would. Each team then implemented well-developed machine learning approaches to yield predictive models. We are encouraging these teams to prepare blog posts and manuscripts to explain their approaches more fully. To be clear, however, there were many, many innovative submissions, and we think that a lot of creative ideas were embedded in code and hard to extract from the short narrative explanations. We hope that all of you will get to read about these contributions and more in the special issue of Socius. As explained in our correction blog post, our Board of Advisors decided to accept a submission that arrived shortly after the deadline, because of confusing statements on our websites about the hour at which the Challenge closed. This team (mdrc) had the best score for two outcomes (eviction and job training) and was awarded the final prize for each of these outcomes. Because we recognize that this was an unusual situation, we are awarding special honorary prizes to the second-place teams for each of these outcomes. Thank you again to everyone that participated. We look forward to more exciting results to come in the next steps of the Fragile Families Challenge, and we hope you will join us for the scientific workshop (register here) at Princeton University on November 16-17! hosting the Fragile Families Challenge meet-up at the American Sociological Association Annual Meeting, Sunday August 13 at 2pm. open sourcing the submissions to the Challenge. publishing a single paper presenting the design and results from the Challenge. publishing a special issue of Socius, a new open access journal published by the American Sociological Association, about the Fragile Families Challenge. hosting the Fragile Families Challenge Scientific Workshop on November 16 & 17.
conducting research to discover important and unmeasured factors, prioritize issues for intervention, and compare modeling approaches. We are looking forward to all of the next steps in the Fragile Families Challenge. We are happy to announce the Fragile Families Challenge Scientific Workshop will take place November 16th and 17th (Thursday and Friday) at Princeton University. The workshop is open to everyone interested in the Challenge, and we will be livesteaming it for people who are not able to travel to Princeton (note: videos of the talks are now available). On Thursday, we will meet in Palmer House (map). On Friday, we will meet in Wallace Hall 300 (map). Thursday: Workshop of submissions to the special issue of Socius and breakout projects. All are welcome regardless of whether you have written a paper. Friday: Presentations by prize winners. All are welcome to attend, regardless of whether you have won a prize. If you plan to join us, please complete the registration form. The first day of the Fragile Families Challenge Scientific Workshop will be devoted to: 1) workshopping papers submitted to the Special Issue of Socius on the Fragile Families Challenge and 2) working on breakout projects. Before the workshop, each participant will be sent 3 papers to read. Participants are expected to read these papers before arriving at the workshop. This will ensure that we have a lively and focused discussion. If you are unable to read the papers ahead of time, please let us know and plan to arrive at lunch time. Then at the workshop, each paper will be discussed for 45 minutes in a series of parallel roundtable sessions. There will be no presentations by the author because everyone will have read the paper ahead of time. Instead, each session will begin with very brief comments by a pre-assigned moderator, and then there will be a group discussion, which will be facilitated by the moderator. We expect these to be lively, fascinating, and generative discussions. The second day of the Fragile Families Challenge Scientific Workshop will be devoted to presentations from the organizers and prize winners. Videos of these talks are now available. We will update this page as we have more information. If you have any questions about the Scientific Workshop, please email us. All models for the special issue must be submitted by August 1. Between August 1 and October 1 October 16 you can complete a web form requesting scores on the holdout data for a list of the models. We will send you those scores. You must report all the scores you requested in your manuscript or the supporting online material. We are requiring you to report all the scores that you request in order to prevent selective reporting of especially good results. We realize that this procedure is a bit cumbersome, but we think that this extra step is worthwhile in order to ensure the most transparent reporting possible of results. Submit your request for scores here. We are happy to announce that there will be a Fragile Families Challenge event Sunday, August 13 at 2pm at the American Sociological Association Annual Meeting in Montreal. We will gather at the Fragile Families and Child Wellbeing Study table in the Exhibit Hall (220c). We are the booth in the back right (booth 925). This will be a great chance to meet other participants, share experiences, and learn more about the next stages of the mass collaboration and the Fragile Families study more generally. See you in Montreal! 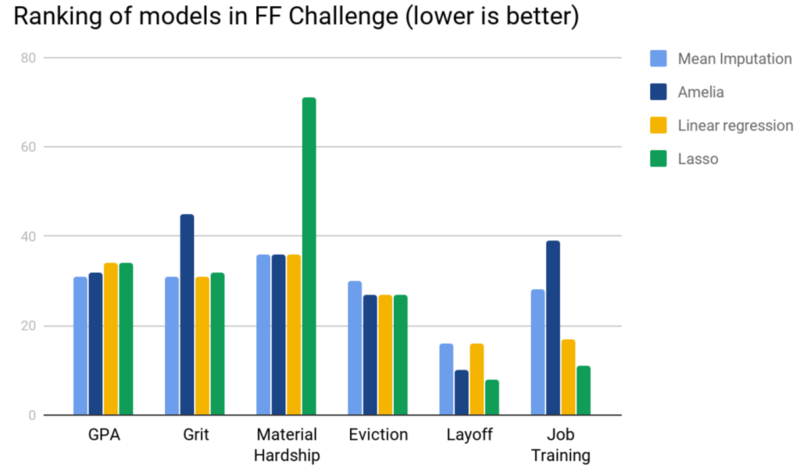 In this post, we discuss the challenges of preparing the Fragile Families data for modeling, as well as the rationales for the methods we chose to address them. Our code is open source, and we hope other Challenge participants find it a helpful starting point. If you want to dive straight into the code, start with the vignette here. The people who collect and maintain the Fragile Families data have years of expertise in understanding the data set. As participants in the Fragile Families Challenge, we had to use simplifying heuristics to get a grasp on the data quickly, and to transform as much of it as possible into a form suitable for modeling. A critical step is to identify different variables types, or levels of measurement. This matters because most statistical modeling software transforms categorical covariates into a series of k – 1 binary variables, while leaving continuous variables untransformed. Because categorical variables are stored as integers, with associated strings as labels, a researcher could just use those integers directly in a model instead—but there is no guarantee that they would be substantively meaningful. For interpretation, and potentially for predictive performance, accounting for variable type is important. This seems like a straightforward problem. After all, it is typically clear whether a given variable is categorical or continuous from the description in the codebook. With a handful of variables, classifying them manually is a trivial task, but this is impossible with over 12,000 variables. An automated solution that works well for the majority of variables is to leverage properties of the Stata labels, using haven, to convert each variable into the appropriate R class—factor for categorical variables, numeric for continuous. We previously released the results of this work as metadata, and here we put it to use. A second problem similarly arises from the large number of variables in the Fragile Families data. While some machine learning models can deal with many more parameters than observations (p >> n), or with high amounts of collinearity among covariates, most imputation and modeling methods run faster and more successfully with fewer covariates. Particularly when demonstrating or experimenting with different modeling approaches, it’s best to start out with a smaller set of variables. If the constructed variables represent expert researchers’ best attempts to summarize, consolidate, and standardize survey responses across waves, then those variables make a logical starting point. Fortunately, most of these variables can be identified with a simple regular expression. Finally, to prepare for imputation, Stata-style missing values (labelled negative numbers) need to be converted to R-style NAs. Data may be missing in a (panel) study for many reasons, including respondent’s unwillingness to answer a question, a don’t know response, skip logic (for questions that do not apply to a given respondent), and panel attrition (for example, due to locating difficulties for families). Additional missing data might be due to data entry errors and—particularly relevant for the challenge—anonymization to protect sensitive information of members of a particularly vulnerable population. What makes missing data such a challenge for computational approaches? Many statistical algorithms operate on complete data, often obtained through listwise deletion of cases. This effectively assumes that instances are missing completely at random. The Fragile Families data are not missing completely at random; moreover, the sheer amount of missingness would leave few cases remaining after listwise deletion. We would expect a naive approach to missingness to significantly reduce the predictive power of any statistical model. Standard packages like Amelia perform multiple imputation from a multivariate normal distribution, hence they are unable to work on the full set of 12,000 covariates with only 4,000 observations This is also computationally intensive, taking several hours to run even when using a regularizing prior, a subset of variables, and running individual imputations in parallel. Another promising approach would be to use Full Information Maximum Likelihood estimation. FIML estimation models sparse data without the need for imputation, thus offering better performance. However, no open-source implementation for predictive modeling with FIML exists at present. We could also use the existing structure of the data to make logical edits. For instance, if we know a mother’s age in one wave, we can extrapolate this to subsequent waves if those values are missing. Carrying this idea a step further, we can make simple model-based inferences; if, for example, a father’s age is missing entirely, we can impute this from the distribution of differences between mother’s and father’s ages. This process, however, requires treating each variable individually. To address some of these issues, our approach to missing data considers each variable in the data-set in isolation (for example cm1hhinc, mother’s reported household income at wave 1), and attempts to automatically identify other variables in the data-set that may be strongly associated with this variable (such as cm2hhinc, mother’s reported household income at wave 2 and cf1hhinc, father’s reported household income at wave 1). Assembling a set of 3 to 5 of such associations per variable allows us to construct a simple multiple-regression model to predict the possible value of the missing data for each column (variable) of interest. Our approach draws on two forms of multiple-regression models, a simple linear ordinary-least squares regression, and a linear regression with lasso penalization. To evaluate their performance, we compare our approach to two alternative forms of imputation: a naive mean-based imputation, and imputation using the Amelia package. Holding constant the method we use to make predictions and the variables used, our regression-based approach outperforms mean imputation on the 3 categorical outcome variables: Eviction, Layoff, and Job Training. The Lasso imputation also outperforms Amelia on these variables, but the unpenalized regression imputation has mixed effects. 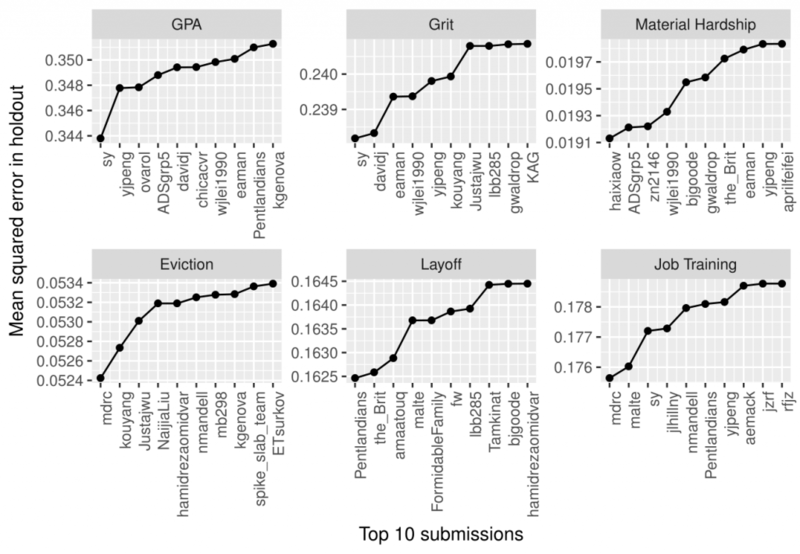 Interestingly, mean imputation performs the best for GPA and Grit, and we saw a similar performance on Material Hardship using mean imputation, Amelia, and linear regression, but Lasso was significantly worse than the former approaches. Overall, even simple mean imputation performed better than using Amelia on this dataset. We assume that the best predictors of any given variable already exist in the Fragile Families dataset, and do not need significant processing. This is not an unreasonable assumption, as many variables in the dataset are collected across different waves, thus there may be predictable relationships between each wave. Our tests above assume a linear relationship between predictor variables and the variable we impute, although our code has an option to also take into account polynomial effects (the ‘degree’ option available when using method=’lasso’). To get complete predictions for all 4000 cases using the regression models, we needed to first impute means of the covariates used for the imputation. In other words, in order to fill in missing data, we paradoxically needed to first fill in missing data. FIML is one solution to this challenge, and we hope to see this make its way into predictive modelling approaches in languages like R or Python. We modularized our work into two separate repositories, following the division of labor described above. Works from the background.dta Stata file to extract covariate information. 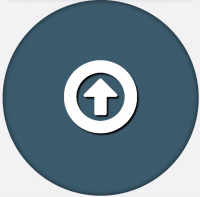 Provides helper functions for relatively fast data transformation. Prepares the raw background.csv data and performs a logical imputation of age-related variables as we describe above. Constructs a (correlation) matrix of strengths of relationships between a set of variables. Uses the matrix to perform a regression-based prediction to impute the likely value of a missing entry. For a technical overview of how these two bodies of code integrate with each other, check out the integration vignette. 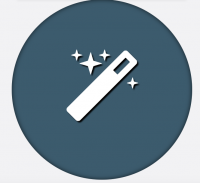 The vignette is an RMarkdown file which can be run as-is or freely modified. The code in the vignette subsets to constructed variables, identifies those variables as either categorical or continuous, and then only imputes missing values for the continuous variables, using regression-based imputation. We chose to restrict the variables imputed for illustrative purposes, and to improve the runtime of the vignette. Users of the code can and should employ some sort of imputation strategy—regression-based or otherwise—for the categorical variables before incorporating the covariates into a predictive model. What seemed at the beginning to be a straightforward precursor to building predictive models turned out to have complexities and challenges of its own! From our collaboration with others, it emerged that researchers from different fields perceive data problems very differently. A problem that might not seem important to a machine-learning researcher might strike a survey methodologist as critical to address. This kind of cross-disciplinary communication about expectations and challenges was productive and eye-opening. In addition, the three of us came into this project with very different skillsets. We settled on R as a lingua franca, but drew on a much broader set of tools and techniques to tackle the problems posed by the Fragile Families Challenge. We would encourage researchers to explore all the programming tools at their disposal, from Stata to Python and beyond. Finally, linking everyone’s efforts together into a single working pipeline that can be run end-to-end was a significant step by itself. Even with close communication, it took a great deal of creativity as well as clarity about desired inputs and outputs. We hope that other participants in the Fragile Families Challenge find our tools and recommendations useful. We look forward to seeing how you can build on them! We are happy to announce that Challenge participant Connor Gilroy, a Ph.D. student in Sociology at the University of Washington, has created a new resource that should make working the Challenge data more efficient. More specifically, he created a csv file that identifies each variable in the Challenge data file as either categorical, continuous, or unknown. Connor has also open sourced the code that he used to create the csv file. We’ve had many requests for such a file, and Connor is happy to share his work with everyone! If you want to check and improve Connor’s work, please consult the official Fragile Families and Child Wellbeing Study documentation. If you have something that you’d like to open source, please let us know. Finally, Connor work was part of a larger team project at the Summer Institute in Computational Social Science to build a full data processing pipeline for the Fragile Families Challenge. Stay tuned for that blog post on Tuesday, July 18! We will be hosting a getting started workshop at Princeton on Friday, June 23rd from 10:30am to 4pm. This workshop will also be livestreamed at this link so even if you can’t make it to Princeton you can still participate. In addition to people just getting started, we think the workshop will be helpful for people who have already been working on the Challenge and who want to improve their submission. We will be there to answer questions both in person and through Google Hangouts during the entire event. RSVP: If you have not already applied to the Challenge, please mention the getting started workshop in your application. If you have already applied, please let us know that you plan to attend (fragilefamilieschallenge@gmail.com). We are going to provide lunch for all participants, and we need to know how much food to order. This getting started workshop will be a part of the Summer Institute for Computational Social Science. We’ve just released the Fragile Families Challenge data in .dta format, which means the files now include metadata that was not available in the .csv files that we initially released. 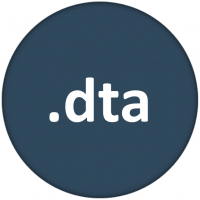 The .dta format is native to Stata, and you might prefer to use R. So, in this post, I’ll give some pointers to getting up and running with the .dta file in R. If you have questions—and suggestions—please feel free to post them at the bottom of this post. There are many ways to read .dta files into R. In this post I’ll use haven because it is part of the tidyverse. One you start working with ffc.stata, one thing you will notice is that many columns are of type labelled, which is not common in R. To convert labelled to factors, use as_factor (not as.factor). For more on labelled and as_factors, see the documentation of haven. Another thing you will notice is that some of the missing data codes from the Stata file don’t get converted to NA. For example, consider the variable "m1b9b11" for the person with challengeID 1104. This is a missing value that should be NA. This gets parsed correctly in the csv files but not the Stata file. If you have questions---and suggestions---about working with .dta files in R, please feel free to post them below. The read_dta function in haven is a wrapper around the ReadStat C library. The read.dta function in the foreign library was popular in the past, but that function is now frozen and will not support anything after Stata 12. 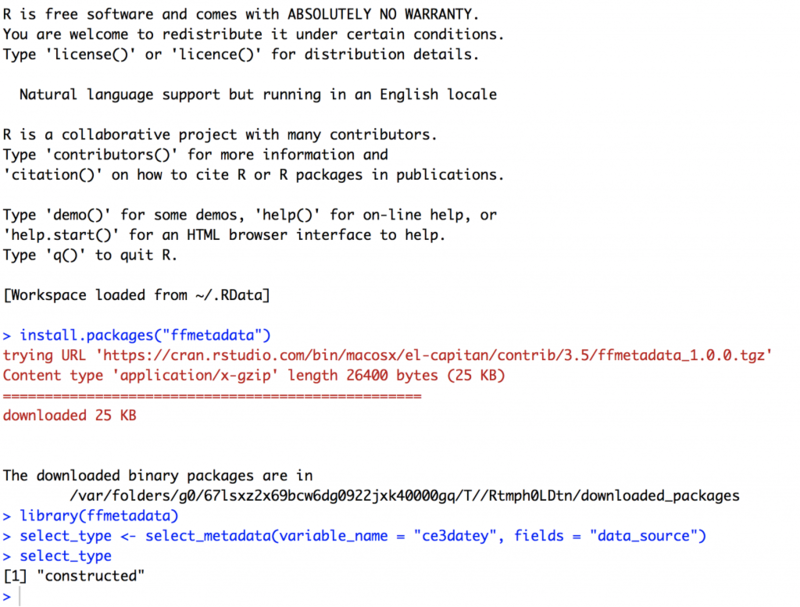 Another way to read .dta files into R is the readstata13 package, which, despite what the name suggests, can read Stata 13 and Stata 14 files. We were glad to receive many submissions in time for the progress prizes! As described below, we have downloaded these submissions and look forward to evaluating them and determining the best submissions at the end of the Challenge. 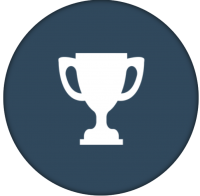 We are excited to announce that progress prizes will be given based on the best-performing models on Wednesday May 10, 2017 at 2pm Eastern time. We will not announce the winners, however, until after the Challenge is complete. Here’s how it will work. On May 10, 2017 at 2pm Eastern time, we will download all the submissions on the leaderboard. However, we will not calculate which submission has the lowest error on the held-out test data until after the Challenge is complete. The reason for this delay is that we don’t want to reveal any information at all about the held-out test data until after the Challenge is over. From the submissions that we have received by May 10, 2017 at 2pm Eastern Time, we will pick the ones that have the lowest mean-squared error on the held-out test data for each of the six outcome variables. In other words, there will be one prize for the submission that performs best for grit, and there will be another prize for the submission that performs best for grade point average, and so on. All prize winners will be invited to participate in the post-Challenge scientific workshop at Princeton University, and we will cover all travel expenses for invited participants. If the prize-winning submission is created by a team, we will cover all travel expenses for one representative from that team. Take our data and build models for the 6 child outcomes at age 15. Your model might draw on social science theories about variables that affect the outcomes. It might be a black-box machine learning algorithm that is hard to interpret but performs well. Perhaps your model is some entirely new combination no one has ever seen before! The power of the Fragile Families Challenge comes from the heterogeneity of quality individual models we receive. By working together, we will harness the best of a range of modeling approaches. Be creative and show us how well your model can perform! There are missing values. What do I do? See our blog post on missing data. What if I have several ideas? You can try them all and then choose the best one! Our submission platform allows you to upload up to 10 submissions per day. Submissions will instantly be scored, and your most recent submission will be placed on the leaderboard. If you have several ideas, we suggest you upload them each individually and then upload a final submission based on the results of the individual submissions. What if I don’t have time to make 6 models? You can make predictions for whichever outcome interests you. To upload a submission with the appropriate file size, make a simple numeric guess for the rest of the outcomes. For instance, you might develop a careful model for grit, and then guess the mean of the training values for all of the remaining five observations. This would still allow you to upload 6 sets of predictions to the scoring function. The Fragile Families Challenge is now closed. We are no longer accepting applications! We will review your application and be in touch by e-mail. This will likely take 2-3 business days. If we invite you to participate, you will be asked to sign a data protection agreement. Ultimately, each participant will be given a zipped folder which consolidates all of the relevant pieces of the larger Fragile Families and Child Wellbeing Study in three .csv files. challengeID: A unique numeric identifier for each child. 12,942 background variables asked from birth to age 9, which you may use in building your model. Six outcome variables, as in train.csv. These are filled with the mean value in the training set. This file is provided as a skeleton for your submission; you will submit a file in exactly this form but with your predictions for all 4,242 children included. To use the data, it may be useful to know something about what each variable (column) represents. Full documentation is available here, but this blog post distills the key points. The background variables were collected in 5 waves. Wave 1: Collected in the hospital at the child’s birth. Note that wave numbers are not the same as child ages. The variable names and survey documentation are organized by wave number. Predictor variables are identified by a prefix and a question number. Prefixes the survey in which a question was collected. This is useful because the documentation is organized by survey. For instance the variable m1a4 refers to the mother interview in wave 1, question a4. The prefix c in front of any variable indicates variables constructed from other responses. For instance, cm4b_age is constructed from the mother wave 4 interview, and captures the child’s age (baby’s age). m1, m2, m3, m4, m5: Questions asked of the child’s mother in wave 1 through wave 5.
hv3, hv4, hv5: Questions asked in the home visit in waves 3, 4, and 5.
p5: Questions asked of the primary caregiver in wave 5.
t5: Questions asked of the teacher in wave 5. Ready to work with the data? See our posts on building a model and working with missing data.